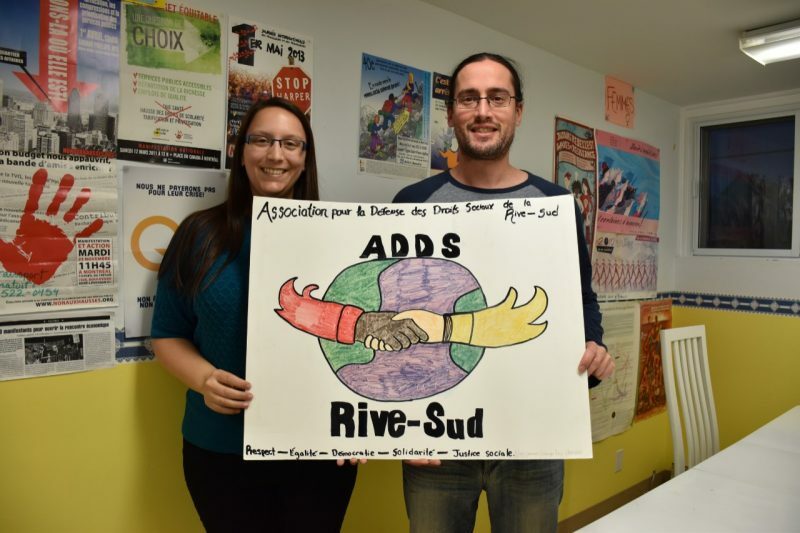 The Association in Defence of Social Rights (ADDS) on the South Shore is a non-profit organization that works to defend the individual and collective rights of social welfare recipients and persons who live in poverty. The Association serves the population of the city of Lévis and the municipal district of Bellechasse. Mobilize welfare recipients around the issues that affect them directly. Organize and pressure to improve the quality of life of social welfare recipients.